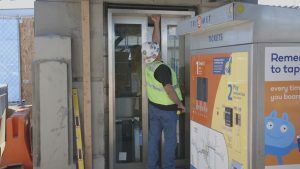 Starting Tuesday, August 28, TriMet begins renovating the elevator at the NE 82nd Ave MAX Station. 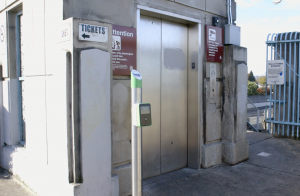 Initially the elevator was to close August 14, but that was postponed until we finished improvements on the elevator at the NE 60th Ave Station that reopened Friday, August 24. 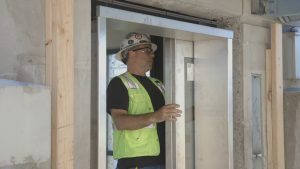 The work will ensure the elevator remains safe and more reliable far into the future, but it also requires shutting down the elevator for 12 weeks. As there is only one elevator between the platform and street level at this MAX station, riders who need to use an elevator must adjust their trips. We have directions around the closure posted at trimet.org/elevators. This spring, TriMet launched a major elevator improvement program to upgrade or replace 19 elevators during a multi-year project. Eleven of those elevators are used by the public. 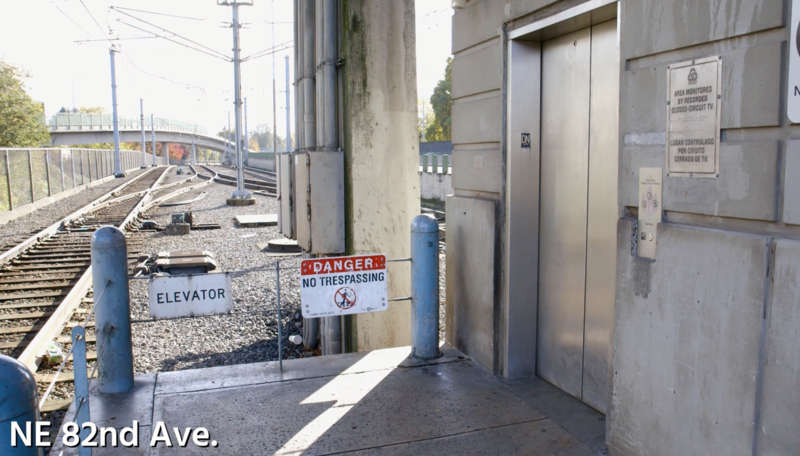 Crews are tackling the heavily-used outdoor elevators along the MAX Blue, Green and Red lines in northeast Portland this year. To minimize the impact on our riders, only one elevator will be renovated at a time. We’re just finishing the first elevator in this improvement program. At the NE 60th Ave MAX Statio n, crews replaced all the components of the elevator cab, including electronics, mechanical and motor cooling equipment, and the control button panels and doors. We’ve also installed a new system to help keep the elevator equipment from overheating. The same improvements will be made at the NE 82nd Ave Station. Get help planning trips around the closure from our Rider Support team, available seven days a week between 7:30 a.m. and 5:30 p.m. at 503-238-RIDE (7433), on Twitter at @trimethelp or online at trimet.org/contact. We encourage riders who use our elevators to sign up for elevator-specific alerts by using this link. The elevators at the NE 82nd Ave and NE 60th Ave stations have been in service since MAX began running in 1986. In addition to heavy daily use, the elevators are outdoors, exposing them to the elements. In winter, the elevators are subject to rain, snow, ice and condensation. In summer, intense sun beats down on the doors, causing surface temperatures to soar and the metal to expand. Though we’ve worked to maintain these elevators, the time has come for major improvements. Following the work at the NE 82nd Ave Station, crews will revamp the elevator at the Hollywood/NE 42nd Avenue Transit Center. After that, we plan to upgrade three to five elevators each year in the coming years. TriMet is committed to making transit better. We are working to improve the overall rider experience. That means adding more service on existing bus lines for less waiting at stops and less crowding on board, and adding new service for connections to jobs, school and other community services. Meanwhile, ongoing upgrades to vehicles, stations and tracks are helping to improve reliability and make the ride more comfortable.